This month I received a fantastic package from Erica Richardson of The Land of Salt. Erica seems to have pretty varied tastes from her blog so I was so excited to see what she would send me. 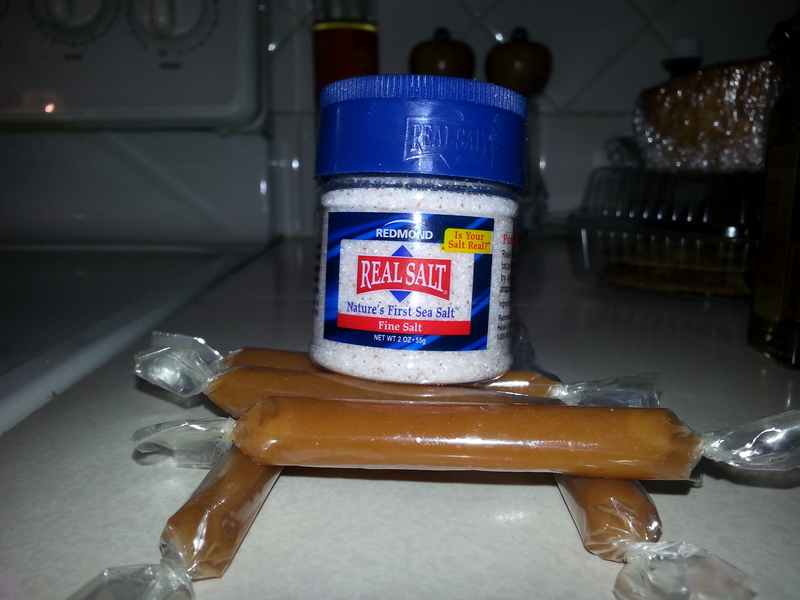 First off she sent me a combination of what you have heard time and time again are some of my favorite two ingredients to combine… quality caramels and quality salt. In her letter to me Erica said this is the only salt she uses now. I can see why. A little bit goes a long way and it is quality. I know most people assume all salt is the same… not so. The crystalization is able to change flavors and textures, the coarseness of the grind changes the way a dish cooks. Quality salt is a must and this one did not disappoint. I think we all know I combined these two to make an awesome salted caramel sauce, but I have a lot of salt leftover that I have been using as I cook. 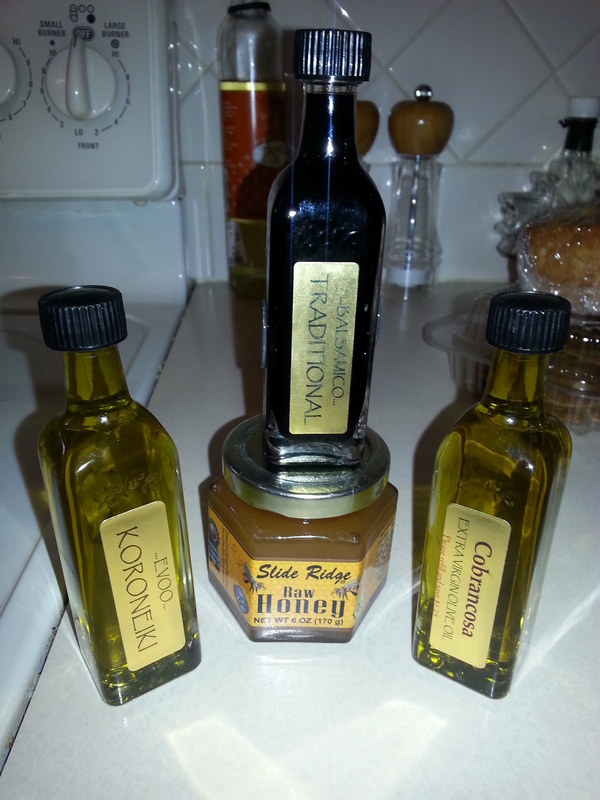 Next she sent me some amazing oils, vinegar, and honey, all local to her. I always have a use for great balsamic vinegar and olive oils, so these were a welcome treat. The Balsamic is going to be used for a grilled flank steak and the oils for all sorts of creations. As for the honey, I had a taste, it is superb. Sweet, smooth, and sultry. As for what I am going to use it for… I will let you know when I decide. Finally, Erica sent me something I very rarely treat myself to. A gourmet spicy sausage… salami style. I rarely treat myself to these because I am often disappointed at the quality. NOT THE CASE HERE!!! This was my favorite item of the package. A wonderful spicy after kick, great flavor, fantastic texture, not dry at all. I ripped into this as soon as I opened the package and it barely lasted for anyone else to even have a taste. Thank you! 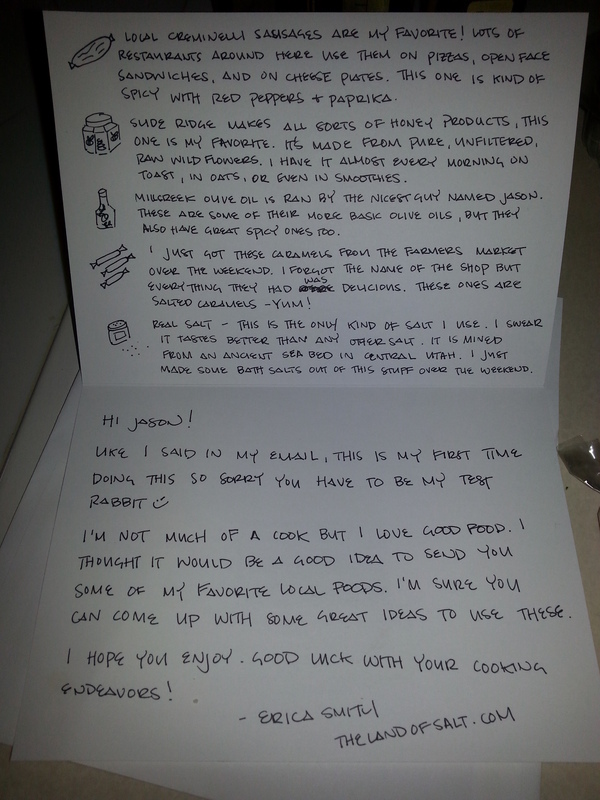 Thank you so much Erica for a truly wonderful Foodie Pen Pal package. Please check out what she got from her pen pal and her fantastic blog, thelandofsalt.com. A MAURPOWERFOODIE GIVEAWAY!!!! In order to pay it forward for the kindness of Judy sending me a package back, I am going to giveaway a duplicate of the package I sent her to one lucky follower. 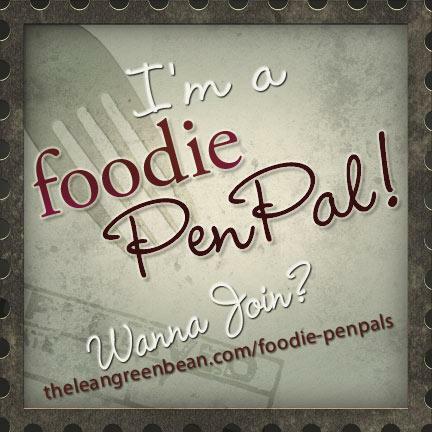 Details to come in that post, so pay attention and you too could get a MaurPowerFoodie Penpal Box. Be sure to stay tuned for the big reveal each month, the second reveal this week, and the GIVEAWAY! Until next time, this is Jason “MaurPowerFoodie” signing off… Thanks for reading. Leave a comment	| tags: april, balsamic, caramel, caramel sauce, Erica Richardson, Foodie, Foodie Pen Pals, giveaway, honey, Jason Maur, Judy Thompson, MasterChef, MaurPowerFoodie, olive oil, quality salt, salami, salted caramel, salty sweet combo, sausage, spicy, The land of salt, theleangreenbean, theleangreenbean.com	| posted in Announcements, Foodie Pen Pals, Giveaways! Victoria may concentrate on healthy recipes, but you would never know it from the absolutely amazing package of treats she sent me! For those of you who know me, you will know just how well this package fits to tastes. So… What did she send me? Good question. 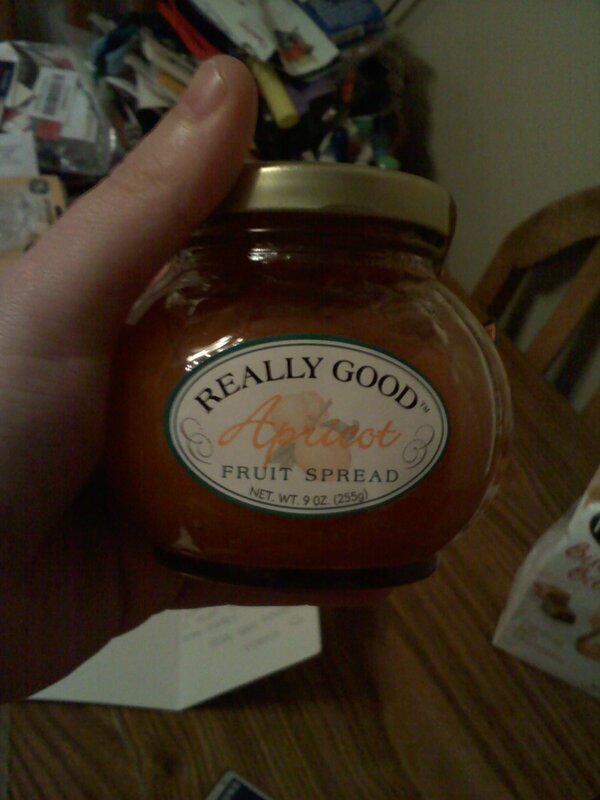 First off she sent me something I use for A LOT of different purposes… high quality Apricot preserves. Not only is apricot the most commonly used preserve in my house for bagels and toast, I also often use it on my chicken, meatloafs, and pork chops. PLUS, for those of you who have had my BBQ, or saw me on MasterChef, the most popular of my BBQ sauces in my Peach Apricot Habenaro BBQ sauce, which uses none other than a quality Apricot Preserve like this one. Great thing to receive. 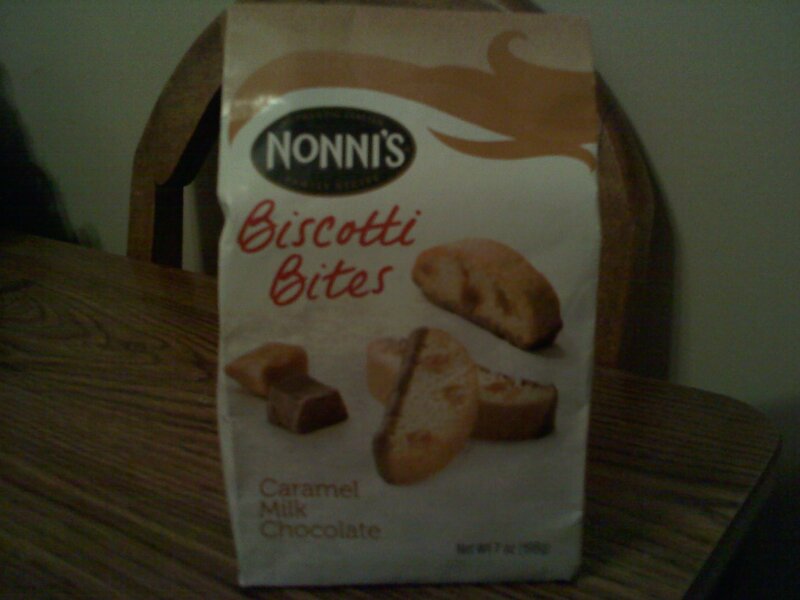 Next she sent me Biscotti. 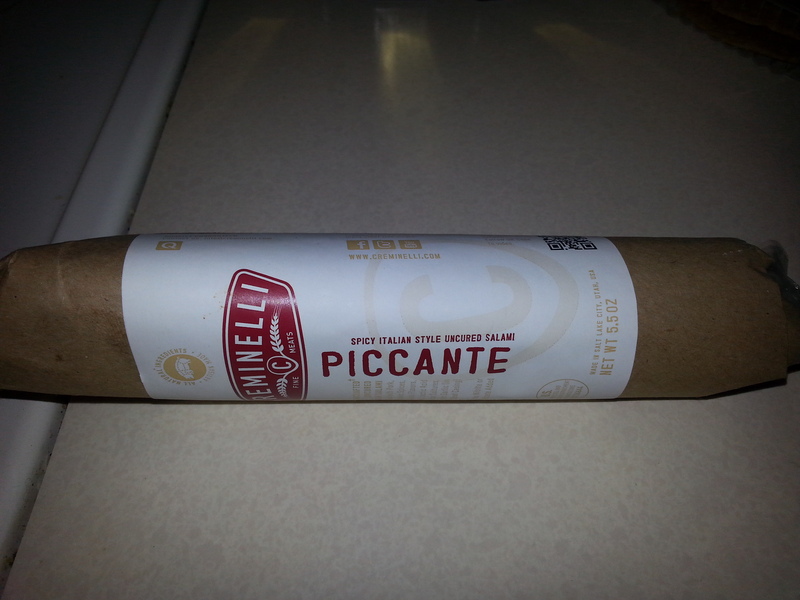 While I have yet to find a biscotti to rival my Mom’s homemade recipe, this was a fantastic flavor and great quality. Chocolate and caramel (which in my humble opinion, one can never go wrong with), this bag of crunchy goodness was gone in only 2 days! I just could not help myself…. SOOOOO GOOD! 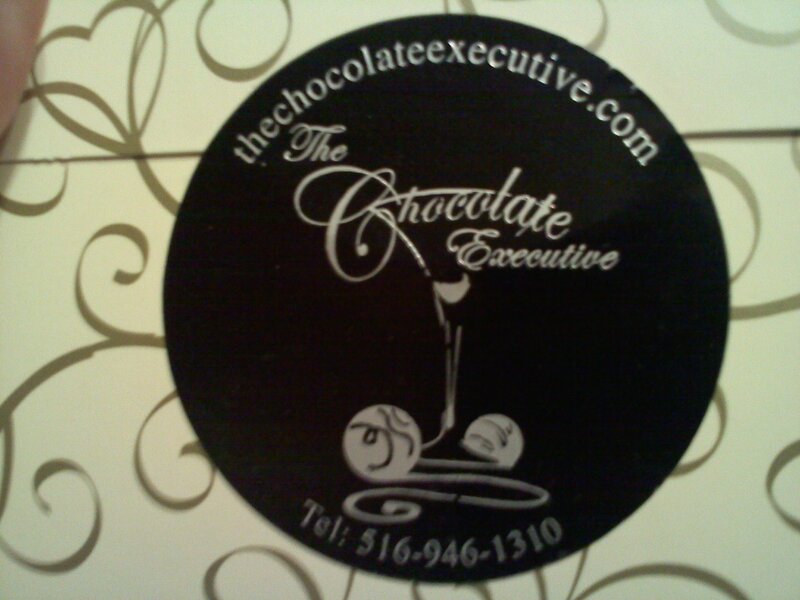 Finally, Victoria took a trip to a local chocolatier and sent me two amazing finds. 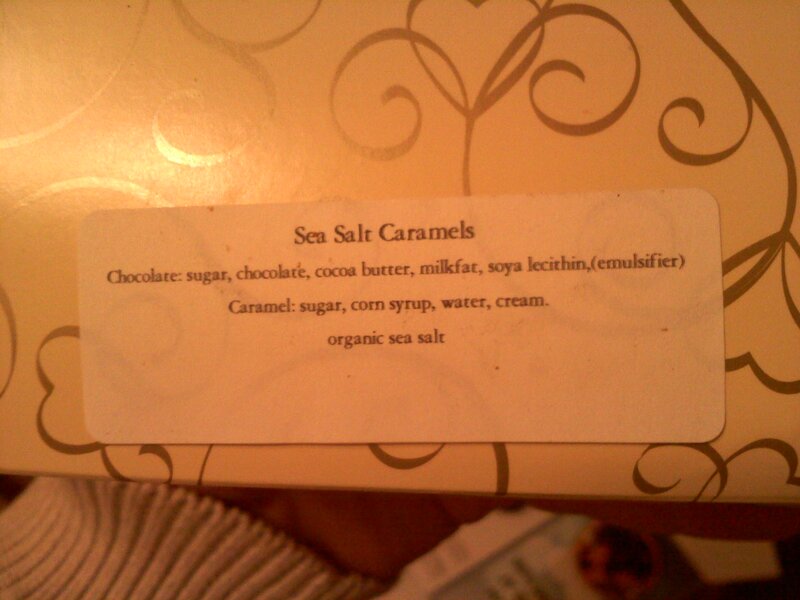 First, as I have said many a time when I receive these, one of my absolute favorite bites, salted caramels. From the label on the box, I had a great feeling about these. I was able to contain myself to indulging in only 1 per day till they were gone, but that was a difficult challenge. 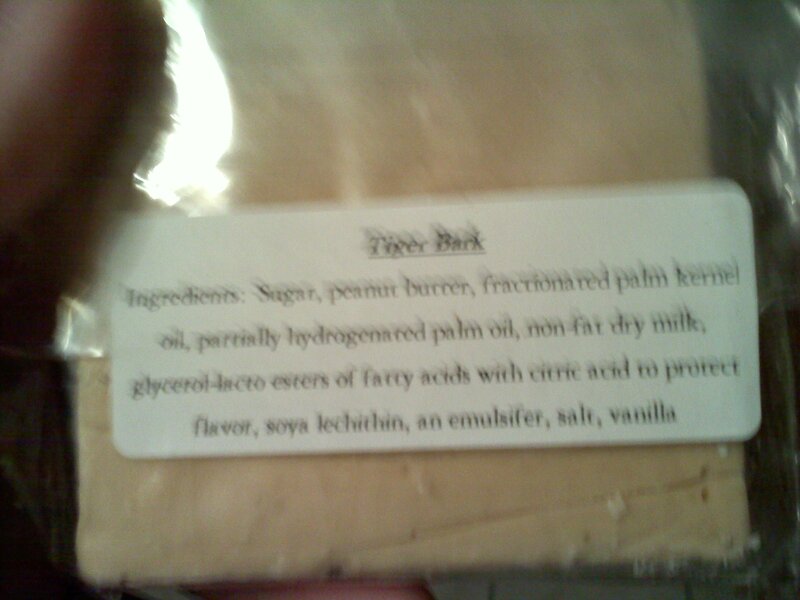 As for the next item, it was something I had not experienced before… “Tiger Bark”. 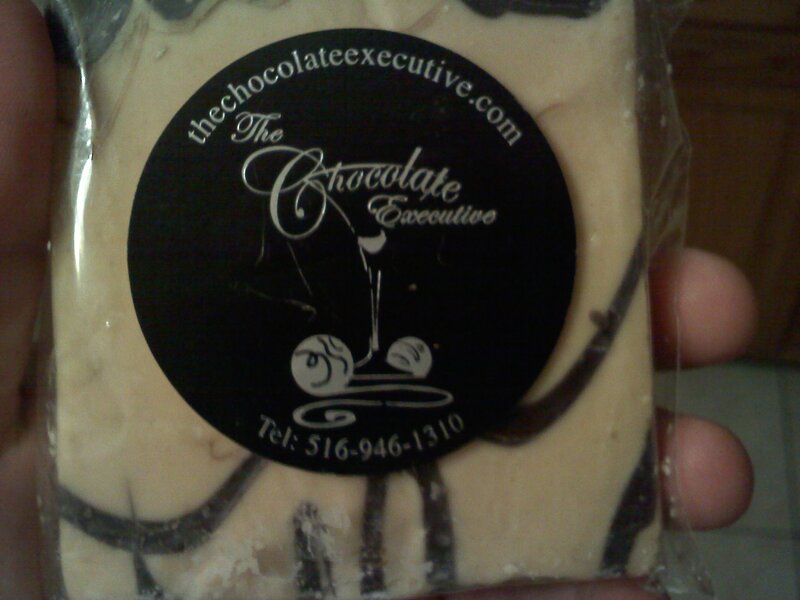 Similar to a peanut butter fudge (which I love), this had a slightly different texture. It wasn’t quite the same melt in your mouth as fudge, instead it was somewhere between a dissolve and a melt, which I actually did not mind at all. Plus, the flavor was out of this world. Put a small chunk of this on a cracker, or a pretzel, or an apple…. **drools**. Two absolutely fantastic gifts to complete a truly MaurPowerFoodie tailored package, perfect for tantalizing my taste buds. 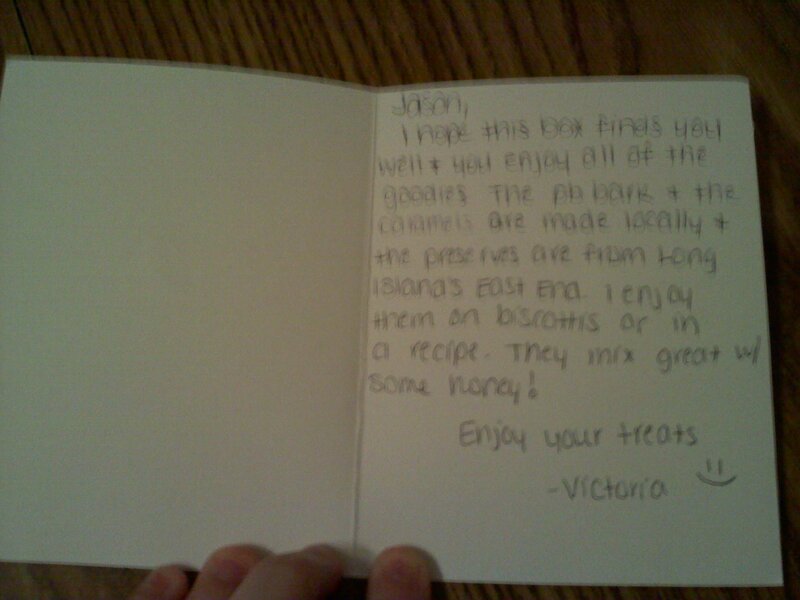 Thank you so much Victoria for a truly wonderful Foodie Pen Pal package. Please check out what she got from her pen pal and her fantastic blog, ReluctantlySkinny.com. Be sure to stay tuned for the big reveal each month! Until next time, this is Jason “MaurPowerFoodie” signing off… Thanks for reading.